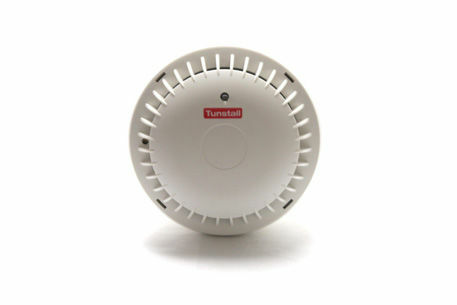 Alongside the Telecare Alarm we also have a range of Telecare accessories for you to purchase. These include a selection of Keysafes and the Telecare Smoke Detector. Keysafes are metal boxes which are attached to the exterior of your home. Inside you can store your house keys behind a security code - rather than leaving them under the doormat. Our Smoke Detector can be linked to our Telecare alarm service - which means you are covered by our 24-hour Monitoring Centre. You can choose to add these Telecare accessories to your Telecare alarm order, or you can buy them separately. This is one of only two Police-approved Keysafes in the UK and has been independently security tested and certified to Sold Secure Bronze Standards. With this Keysafe you can store between five and seven keys. They will sit behind a push-button lock which features 12 buttons. The Burton Keyguard Digital XL also comes with a waterproof protective casing. 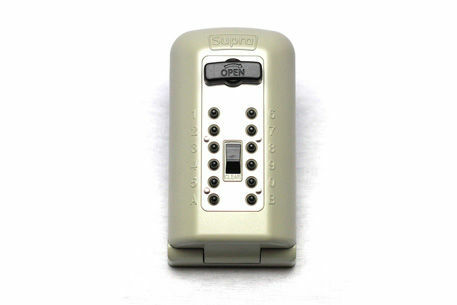 The Comsafe KeyKeeper features a 10-digit combination lock which allows for over 10,000 possible codes. This Keysafe has the capacity for one key and uses a push-button combination locking system. 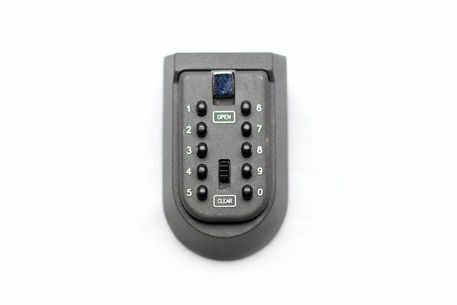 This is our cheapest Keysafe but it still offers great protection and adds security to your home. You will no longer need to risk leaving a key under the doormat if you aren't going to be home in time for your visitors. The Supra C500 has been approved by the Police and has achieved the LPS1175 Level 1 Security rating. This means that, after undergoing rigorous tests, security experts have deemed the C500 as resistant to attack as a domestic front door. 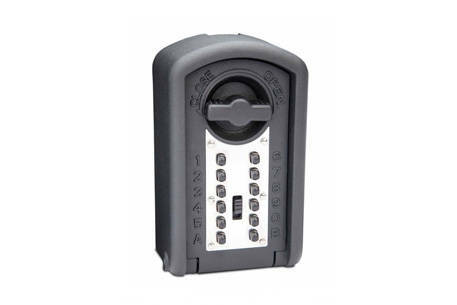 The C500 can store up to six keys behind the push button, heavy duty locking mechanism. The 12 buttons are surrounded by a stainless steel plate which is scratch and fingerprint resistant. Due to its secure clutch mechanism the handle on the C500 cannot be forced open - boosting your security further. The Telecare Smoke Detector features all of the benefits of a regular high-quality smoke alarm with the additional feature of being linked to our 24-hour monitoring centre. If the detector is triggered, a call will be sent through to the monitoring centre. The team will react as they would if you pushed your Telecare Pendant - by calling you over the alarm unit's loudspeaker to assess the situation. They will then contact the emergency services if they are required, as well as calling for your emergency contacts to inform them of the situation.